Shiny silver plated wafers with a touch of a twist dangle from a delicate bit of chain in this pair of handmade dangle earrings that's sure to catch some attention. These light-catching wafers are then joined with dusky pink vintage pearls re-purposed from a 1950s pearl necklace and faceted clear rounds for just a touch of sparkle. 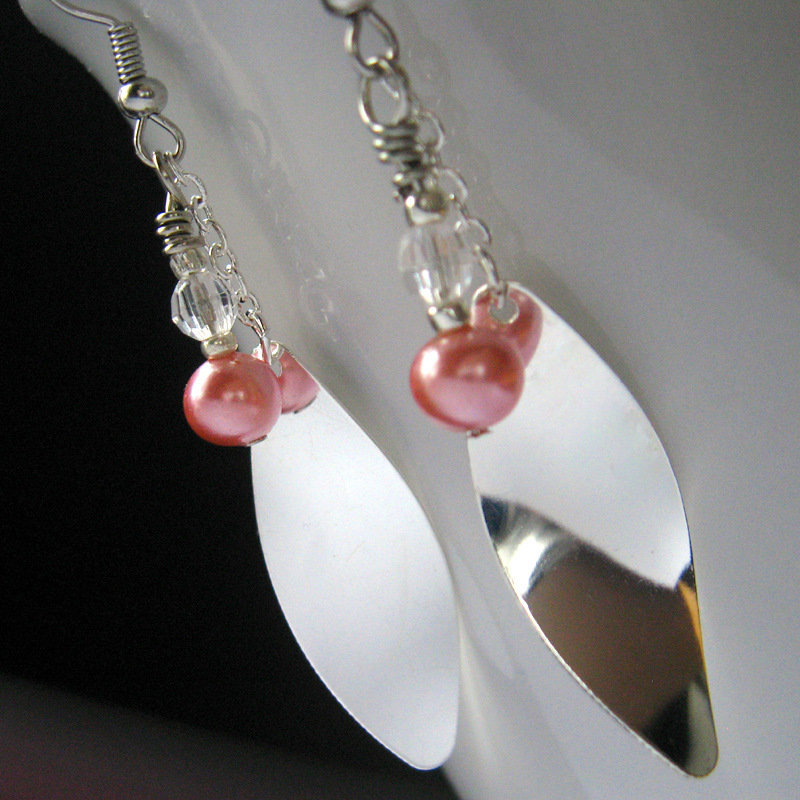 These 2.5-inch (6.3 cm) earrings are made with care to be light-weight on pierced ears and easy to wear. 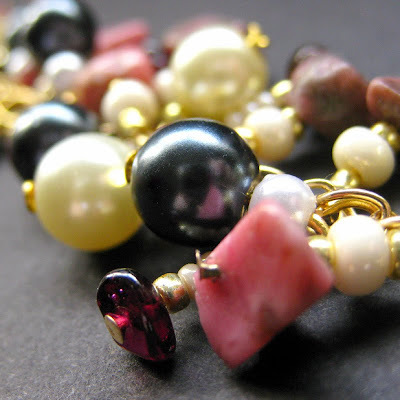 I was fascinated by the vintage beads and pieces in this bracelet the first time I laid eyes on them. I love their shape and the minty green color that's both soft and vibrant at the same time. This unique, handcrafted bracelet was made for Imbolc, a holiday nestled at the end of winter that concentrates on the upcoming spring's triumph over winter's darkness and gloom. 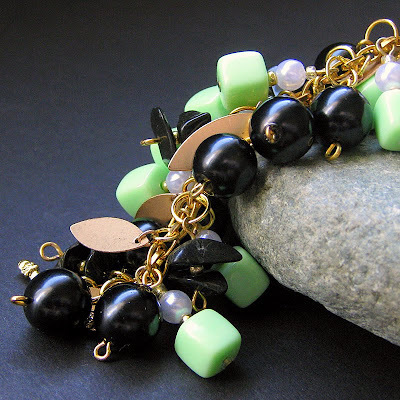 The vintage beads are joined by black glass rounds, genuine onyx gemstone chips and fluttering golden leaves. All brought together in a bright and cheerful cascade on a gold plated chain with matching toggle. 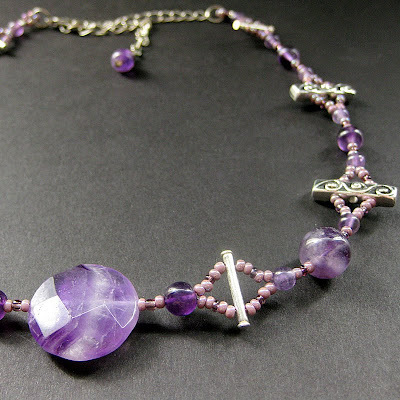 This bracelet is a unique OOAK (One of a Kind) piece and measures at 7.5" (19 cm) in length including clasp.